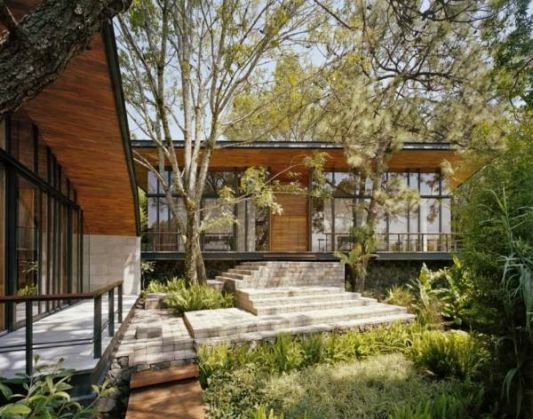 A house that in a blend with the forest and trees. 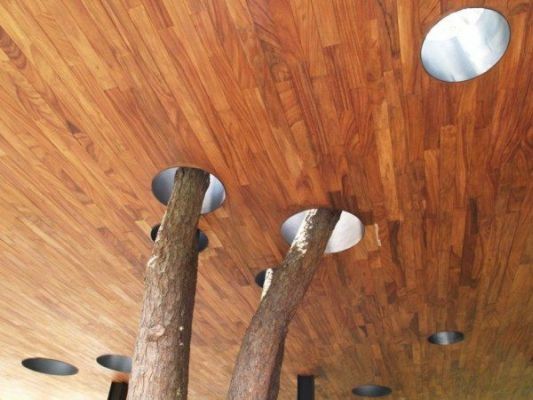 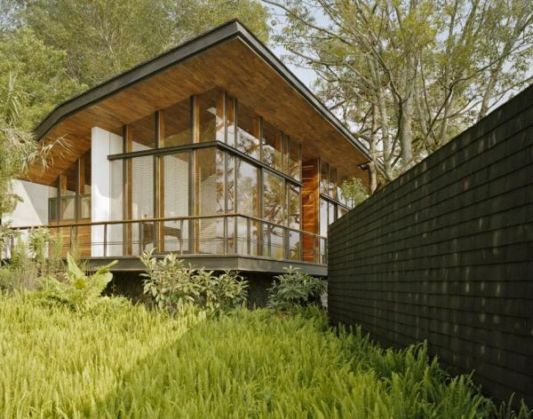 The house is located in Valle de Bravo, Mexico, has an attractive natural environment green. 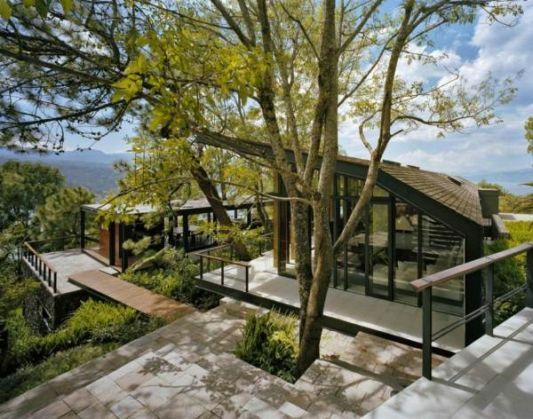 Adding home made with due regard to the surrounding environment, with no damage to existing trees. 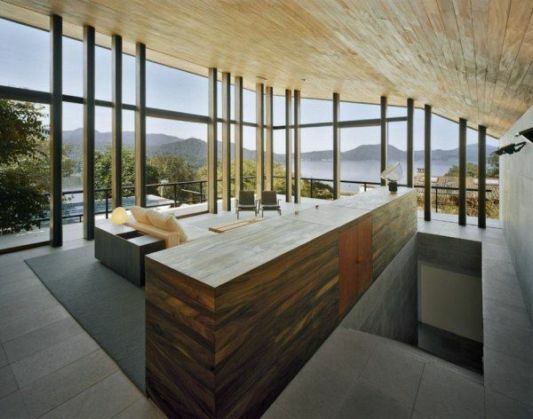 Design houses were so beautiful and integrated with the elegant and charming landscapes around him. 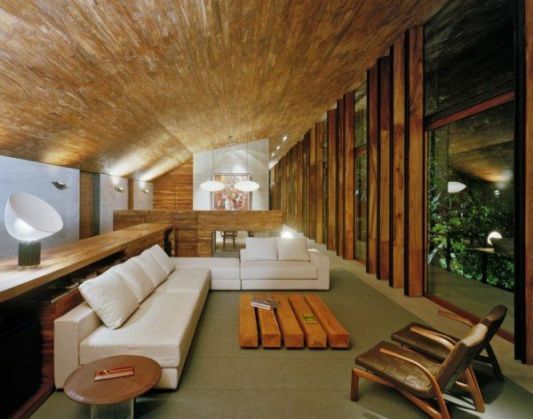 Beautiful architecture of this house is done by Celula Arquitectura. 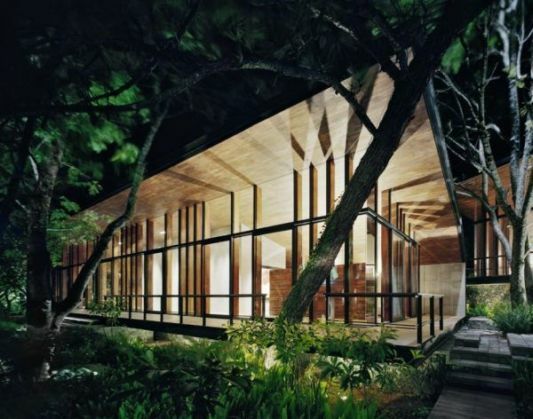 This house consists of two pavilions that have unequal sizes, is equipped with a swimming pool in front of him. 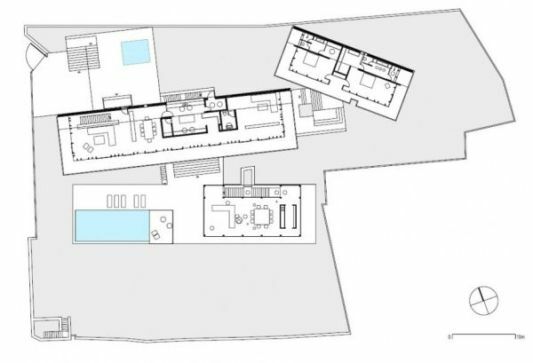 The first is the one part of a large pavilion which contains the living room and dining room, kitchen and a working studio. 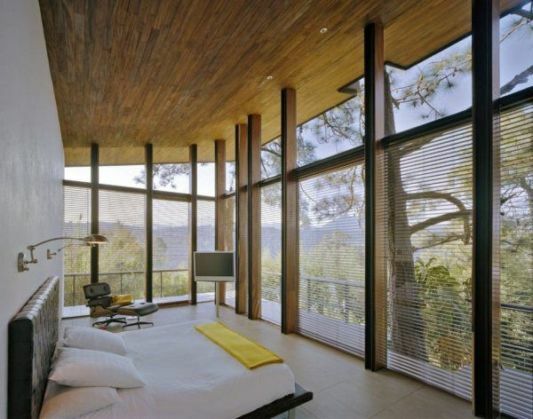 Then in the second pavilion consists of two bedrooms. 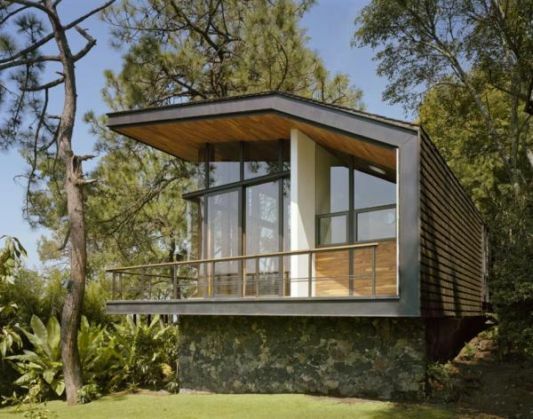 The house structure using steel frames, and to create a window in the sliding system. 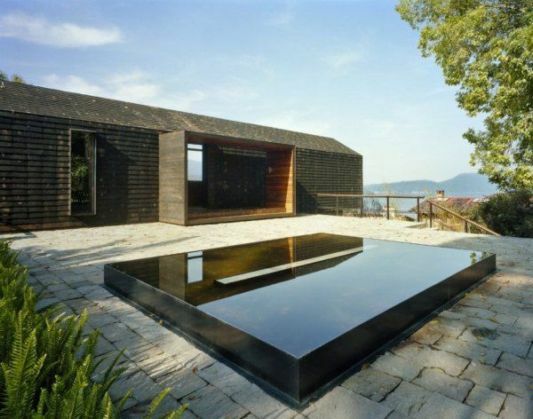 Block foundation with concrete slab floor well insulated to prevent the warmth to radiate downwards. 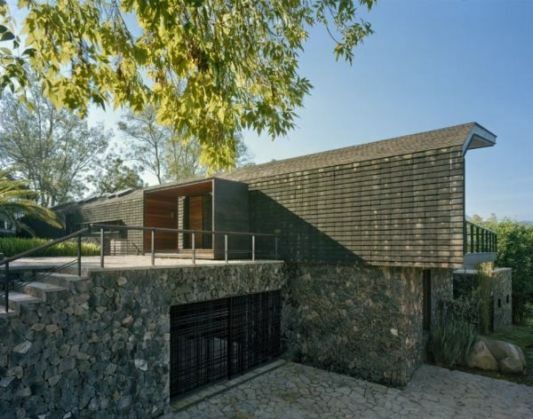 The most important visitors were received under the protection of a steel cage, which is entered through a small door that leads into the living room, thereby emphasizing the contrast between the closed nature of the entrance and living room and full disclosure of the valley itself. 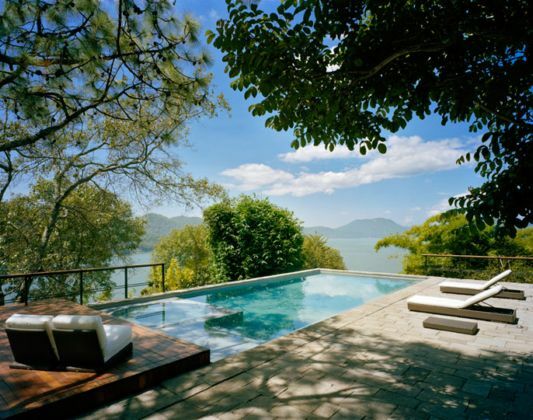 Villa design is made leads to the beautiful scenery.